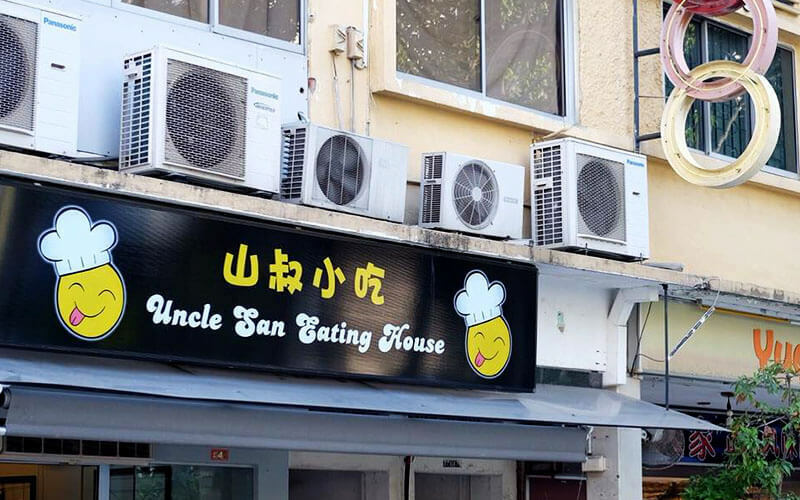 Situated along Lorong 27 Geylang, Uncle San Eating House is a Chinese restaurant that dishes out mouth-watering Chinese-style cuisine that is prepared by a team of chefs passionate about providing patrons with a dining experience that reminds them of home. Uncle San Eating House’s menu boasts a large variety of meat, seafood, and vegetable dishes, ranging from simple yet fragrant recipes to elaborate recipes with a substantial amount of aromatic spices. Be sure to look out for the Thai-style three-flavoured fish, pork belly with garlic, cheese fried bee hoon with prawn, and kangkong belacan- Uncle San Eating House’s highly recommended dishes.